Join the retro-future world of Steampunk, with this CyberSteam Gold/Orange Eye Patch! Inspired by a melding of Victorian-era Britain and the fantastical designs of authors like H.G. 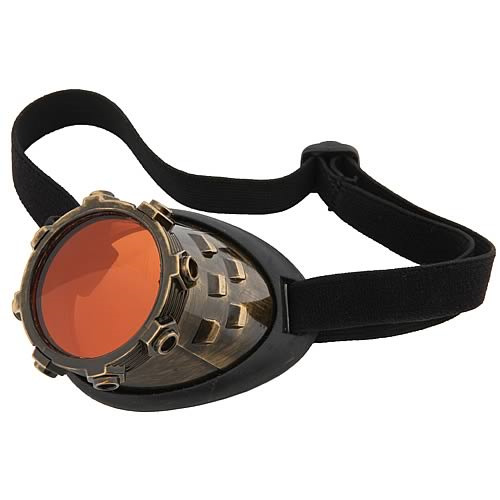 Wells and Jules Verne, this goggle eye patch is the perfect addition to your steampunk costume! Measures about 2 1/4-inches in diameter. Order yours today! Ages 14 and up.